Polaroid: The Rebirth of Cool? 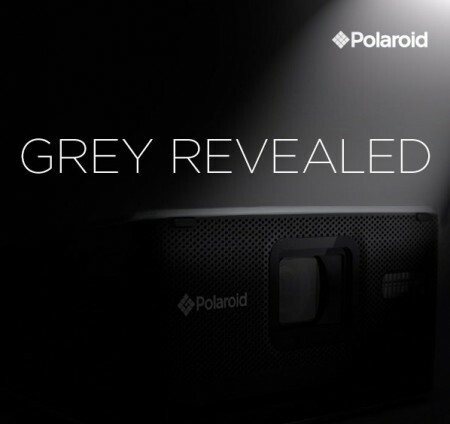 Polaroid hinted at a potential rebirth for instant photography today with this teaser sent to Engadget. Looks intriguing; the slot at the front is just enough to get me lusting after this. Will be really interesting to see if they can recapture some of their former glory with a new instant camera. But in this day and age of 8MP camera phones I wonder if the thrill of the instant physical copy might be lost on most. How ever would you Facebook it!!? I’m personally hoping for some nice balance of tempered throw-back aesthetics with a healthy dose of new features. From the vague image they’ve provided, it’s looking pretty clean. But knowing how they roll now, I’d be surprised if they really pull it off. Polaroid SX-70 Ad Diana+ Instant Back Impossible Project Inst..
Didn’t they bring Lady Gaga on board to promote the new range of Polaroid cameras? It this is true..I’m gonna buy it. Luckily I still have about 4 boxes of 600 film in my fridge. I think it’s kind of provocative; I feel like I would enjoy some form of physicality back in my life – so much of it is digital now. If this product has the capabilities to store a digital copy onboard in addition to the instant physical copy,it may prove useful. Likely you can’t upload from to fb from the camera, but if you could sync with a smartphone – ambrosia. Gotta love the enthusiasm here. Who cares about Polaroid, the company, these days? It’s all about Impossible Project now. They are the only ones who produce film for integral film cams from Polaroid. Apart from SX-70, they have films for 600 and Image cameras too. Large format on the way. How do you facebook it? You take the time to scan the photos, remove dust in Photoshop. Resize, crop and adjust levels and then upload it from your HD. i’d like to hope that there are still people who can enjoy real experiences with others in real life, and not just on facebook. Polariod lives, possibly. Still, this can be exciting. blah. everything polaroid does now just makes me sad. I would totally want a physical copy instant camera to add to my fleet. I love digital, I love my Canons, but I found an old 35mm Pentax in my parent’s basement and there is something just magical about it. I like the quirky dust and random flares. I bought a cheap negative scanner for Facebook/blogging the film. There is something to be said about physical photos too. I don’t really know why, but holding a photo is somehow better than holding an ipad displaying the photo… It’s just more nostalgic or something. Most likely it’s a larger version of the PoGo printer, or more second rate electronics with Fuji. Judging from what little we can see (I’ve seen a photoshopped version where more of the camera body is pulled out of the shadows), I think the first is more likely. This could be such an amazing opportunity for polaroid to really break back out onto the scene. God I would love that. I shot on film for a long time before making the reluctant leap to digital. There’s a lot to be said for film, better colors, more depth, more soul. Film has a higher dynamic range which makes a huge difference. I also appreciate the fact that every picture costs money – it forces you to take your time and really think about each shot. But that positive is also the fundamental flaw with film, the cost of producing it, which was coming out to about 50 cents a picture all in. In the end I just couldn’t afford to shoot in film, no matter how much better the results were. Someday I’ll build my own dark room… if film is still around then. This is great, I hope they bring new technology into the classic style of design. It would be sad if it was the same camera with same cheap technology inside.